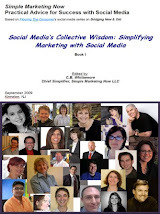 I mentioned in Content Talks Business Blog on SimpleMarketingNow.com that I was revisiting my How Do I? series and creating from it several Tip Sheets and Guides. 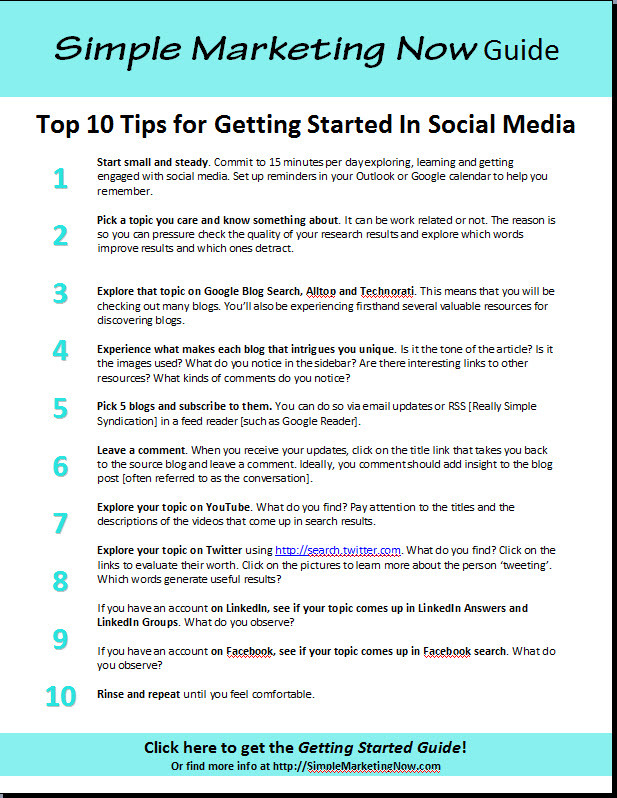 I'm here today to share with you the very first of those Tip Sheets: the Top 10 Tips for Getting Started in Social Media. 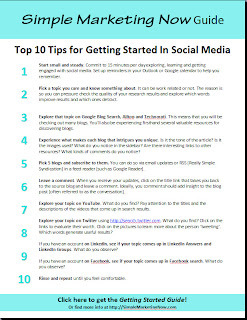 You can download the tip sheet by clicking on this link which will take you to the landing page for this document. Simply enter your email and you can download the document. I welcome your feedback and hope you'll enjoy these newly created resources. Please do share your feedback in the comments. Please do feel free to share this link with others who might be interested.